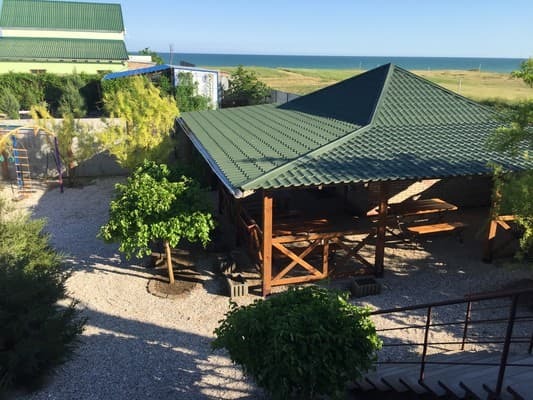 Pension "Sofia" is located in the village of Stepanovka First on the coast of the Azov Sea. 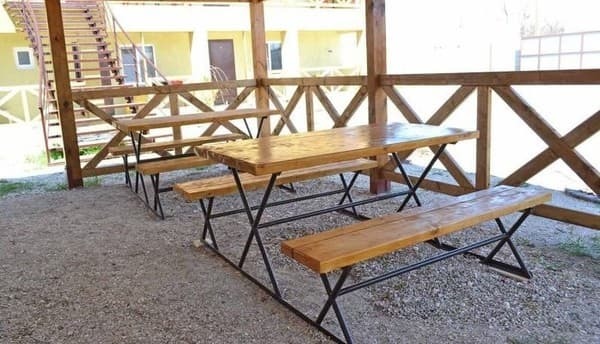 The hotel offers accommodation in triple and quadruple rooms that are equipped with new furniture, a private bathroom, a refrigerator, a TV with satellite channels and an electric kettle. 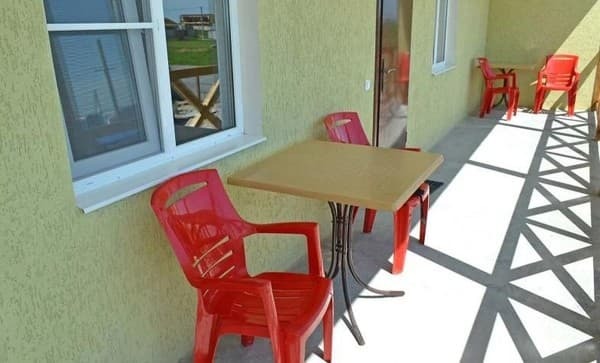 The hotel offers free Wi-Fi, parking, and a shared kitchen, which is equipped with everything necessary for cooking. On the territory of the boarding house "Sofia" for children there is a playground with a sandbox and a trampoline. In walking distance from the boarding house "Sofia" there are many grocery stores. Distance to the city of Melitopol - 59 km. 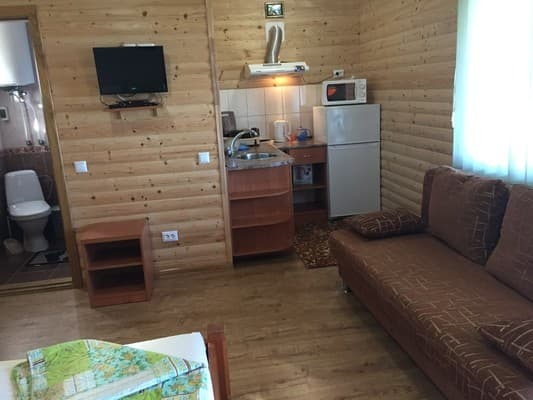 Description of the room: Room with a large double bed and a pull-out sofa, in the room there is a wardrobe and a hanger. Only on existing beds and by prior arrangement. 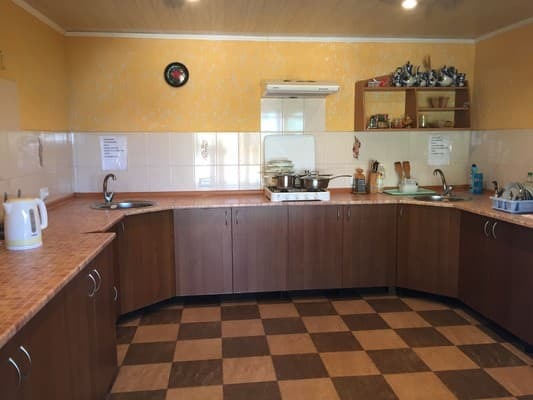 On the territory of the boarding house there is a fully equipped kitchen for cooking. Coast of the Azov Sea. From Melitopol on a fixed-route taxi to the village of Stepanovka First.